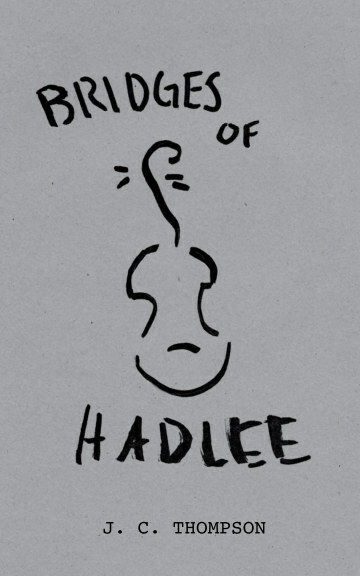 Hadlee Moreau was sick of playing his violin. While other 9-year-old kids were outside in the sun or spending time with their friends, he was inside with his sheet music and parents for company. But when he met Peter, everything changed. Their friendship opened a door to the outside world, offering Hadlee the childhood he never had and revealing the consequences that accompany agency. When a terrible mistake leaves their relationship in tatters, Hadlee's life is suddenly uprooted, impacting not only him, but those around him. Follow Hadlee as he struggles to battle through his PTSD and overcome the haunting memories of his past. Joseph Thompson was born in Philadelphia, Pennsylvania and was raised near the Rocky Mountains of Utah. He spent his high school years living in Massachusetts where his family currently resides, and could not have been more grateful for the experience. He is currently enrolled at Brigham Young University Idaho to receive a masters degree in English teaching, and can’t wait to spend the rest of his days educating the rising generation of America. During his free time he loves to read, write, watch TV shows and movies, sing, dance, and drink hot chocolate. His favorite weather is light rainfall and he is utterly devoted to his family and beautiful cat, Misty Rain.